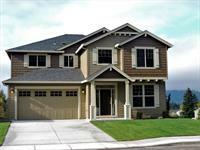 Aho Construction has built more new homes in Washington state than any other builder. That’s a bold statement, but we have. Since we began in 1987, our commitment to our customers and our commitment to deliver a skillfully crafted, quality home at an affordable price, has been our foundation. Many of our homebuyers have come to us through referrals from families who already live in an Aho Construction home. There is no better compliment and no award that means as much to us. It all starts with the design, we make sure all of our plans and our communities have features that are both beautiful and functional, from multi-level roof lines and craftsman detailing on the exterior to sleek contemporary floor plans inside. We build homes for the way you live, work & play every day. And we stay with you every step of the way. We’re there to help you select a plan, we’re there to make sure you understand the homebuilding process, we’re there to help you make design choices for the way you live, we’re there to answer your questions, we’re there to hand you the keys, we’re there for warranty questions and we’re still there when you or your family members, neighbors and friends are ready for a new home. Visit our website for information and driving directions to all our communities.